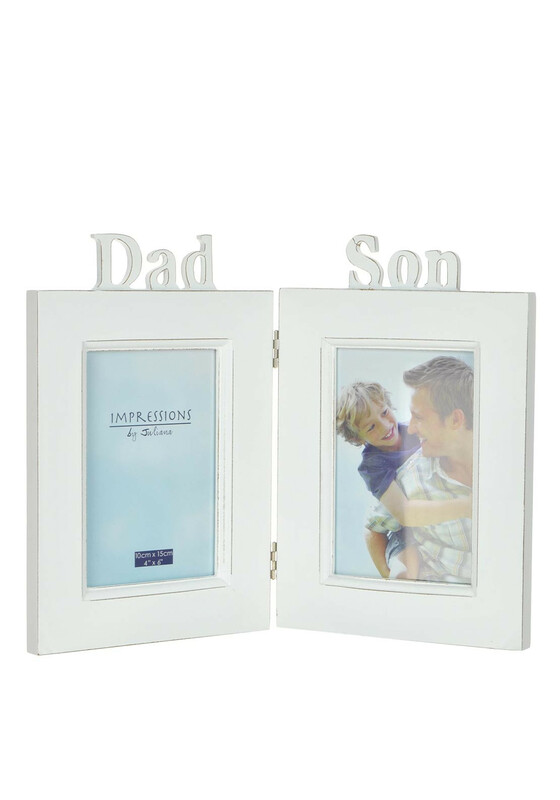 Widdop & Bingham present this double photo frame. A white wooden frame that holds two 4 x 6 inch photographs. The top of one frame has the wording “Dad” and the other frame has the wording “Son”. The two frames are joined together by a hinge so this frame would sit nicely on a side table.